The European-led team behind the Planck cosmology probe on Thursday released the mission’s first all-sky map of the cosmic microwave background — a “baby picture” of the universe that could eventually reveal how it inflated in the first moments of its existence, and whether it possesses the extra dimensions that are predicted by some theorists. 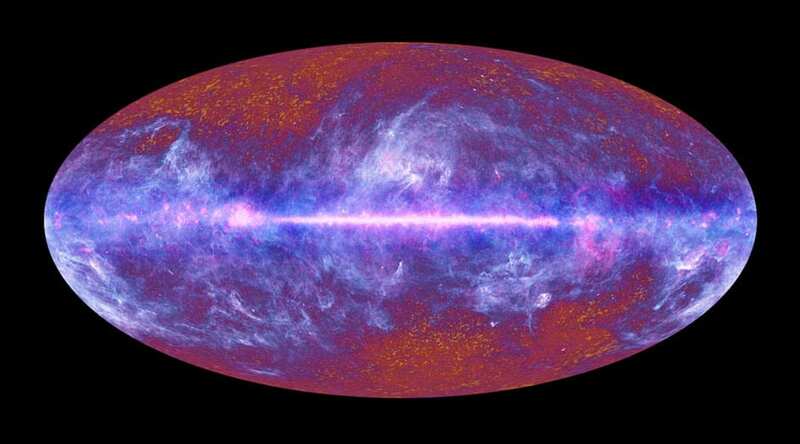 “To a cosmologist, this map is a gold mine of information,” University of Cambridge astrophysicist George Efstathiou, a member of the Planck science team, said during a Paris news conference. He joked that not that long ago, cosmologists might have “given up their children” to have such a map in their hands. This entry was posted on March 21st 2013 at 4:15pm/16:15 and is filed under Live News Column 1, Technology. You can follow any responses to this entry through the RSS 2.0 feed.